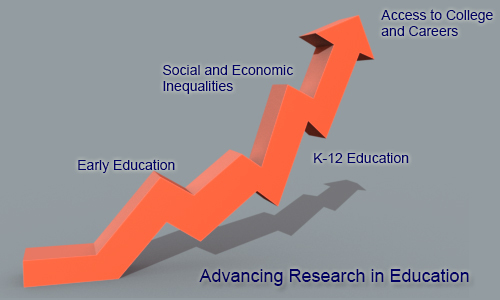 The Maryland Equity Project generates and synthesizes research on key issues related to educational opportunity in Maryland. We use research and policy analysis to define and understand current educational issues in Maryland and translate and communicate important new research for policymakers, advocates, and the public. Through our publications and reports, we engage with policymakers, educators, and advocates across the state to increase the use of research in policymaking and practice. We also host events and seminars that bring together researchers, educators, policymakers and advocates to discuss current issues and research. Early Education: Early education can play a critical role in developing the cognitive and social skills necessary for success in school and life. Our research on early education examines the short- and long-term benefits associated with preschool education and assesses the arguments for and against universal pre-school. K-12 Education: Over the past several decades, we have seen an array of reforms designed to improve K-12 education. Our goal is to provide an equity perspective on K-12 education reform initiatives and identify issues critical to improving educational opportunity in Maryland. Access to College and Career Readiness: As the value of a college degree increases policy-makers have increasingly focused on access to college and college and career readiness. If we are to prepare students adequately for college and want to give them equal access to college and career opportunities, we need to understand the challenges students face as they move towards their college and career goals. Social and Economic Inequities: The Maryland Equity Project intends to bring a multi-disciplinary approach to addressing the educational challenges in Maryland. The goal is to expand the dialogue around educational issues to include social and economic factors outside the schools and generate a body of research informed by different kinds of knowledge.